I've really been enjoying researching history, forenames, geography and such for my WIP novel lately. My dear "Pirate Princess Writer Friend" suggested that I do as much research (collecting it together seriously) as I possibly could and then set an actual start date for myself to just dive in and actually write my story already. Ahem, if you just research and research and research as a writer all of the time it becomes procrastination after a while, in essence. That said, I've been researching like a crazy-lady this whole week and my plot and characters and world are starting to shape up nicely. I'm going to give myself a bit longer to get a storyboard and the rest of my need-to-know research together and then it will be solid writing no-holds-barred for this little writer-lady! 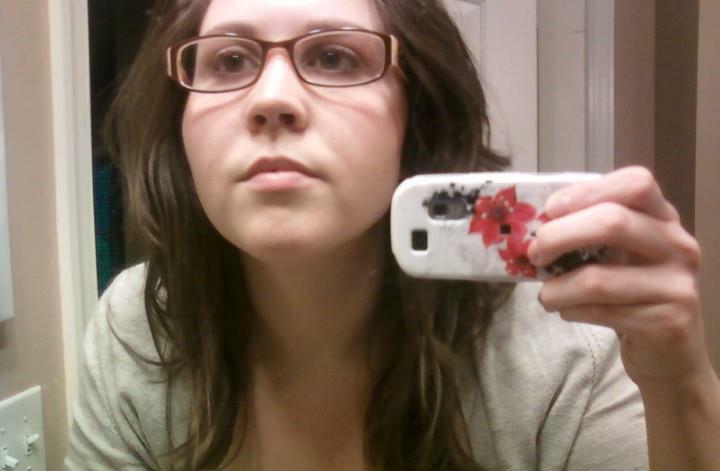 Yup, I finally got glasses to complete my nerdy-princess look! I learned something really super cool this week while researching all about Selkies/Sliocha nan Ron for my novel. The Sliocha nan Ron are the offspring of a union between a Selkie and a mortal. To this day there are many families who were thought to be descendants of selkies. One such family is the clan Macfie of Scotland. The name Macfie is derived from an older version of the name Macduffie which is derived from the gaelic term MacDubhSithe meaning "son of the dark fairy of elf." The legend claims that the first Macfie took a selkie as a bride. Um, my momma's maiden name is McDuffie (they dropped the "a" from MacDuffie a long time ago.) In short I started hyperventilating and squealing after I read this tidbit of information. My family's clan in Scotland/Ireland were the first known peoples to take a "Selkie" as a bride. Now, I'm not saying that I believe my ancestors actually married Selkies or anything, but I am really ecstatic that the very subject I am writing about for my current in-the-works novel was written long ago in my blood lines. I mean it's not every day you find out a smidgen more about your family history and discover that the very fantasy you are writing about is in fact a deeply rooted part of yourself! The Gaelic equivalent of "Sarah" is "Morag." Pretty snazzy sounding, huh? I thought so. This is said to be the Gaelic equivalent to Sarah (from a Hebrew word "Sarai" meaning "Queen" or "Princess"), though some books suggest that it is from the Gaelic "mor" meaning "great" and "ag" or "og" meaning small. So the combination is "great young one". It was largely unknown outside of Scotland until the 20th century but has become increasingly popular. When it was dangerous to use Bonnie Prince Charlie's real name after Culloden in 1746, his followers sometimes used the name Morag to refer to him. I can't believe you just called me that in public. Love your glasses! You look wonderful! Aw, thanks girl! I really like 'em! Very cool! I hear ya about research--it can SO easily become procrastinating. But on the flip side--at least I've found--is that researching can actually cultivate MORE inspiration for the story, flesh out the plot & characters. *Le shrug* OR in my even more extreme case...it can give you ideas for a whole SERIES (*squeal*) of books. I love your glasses, Sarah; you look great in them! And your novel sounds exciting --- I can't wait to learn more! I am also a descendant from the clan macfie!